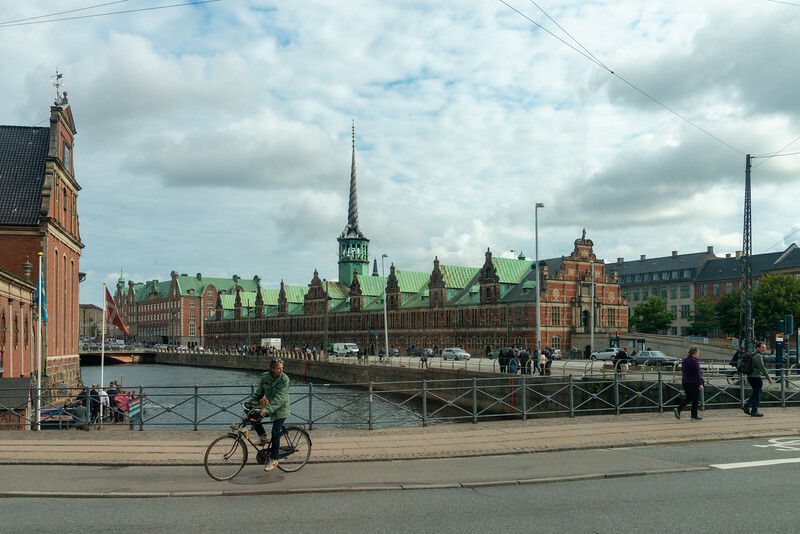 Copenhagen is the Capital of Denmark. 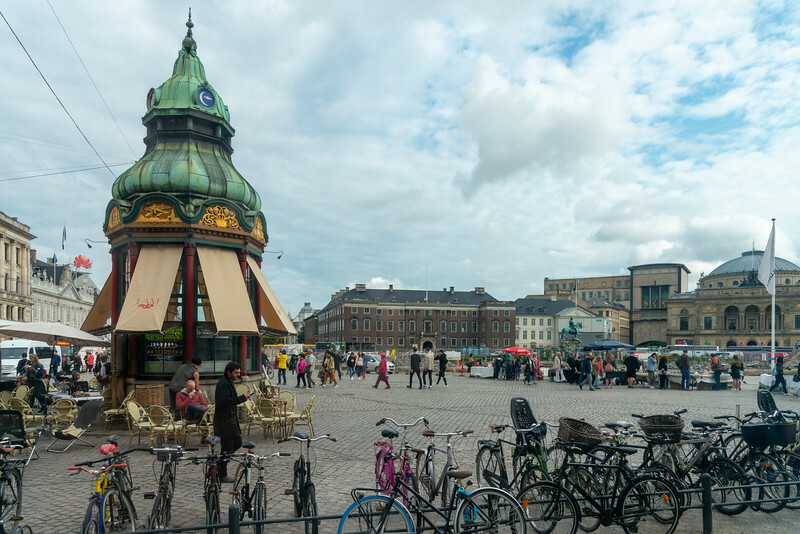 Copenhagen, Denmark’s capital, sits on the coastal islands of Zealand and Amager. 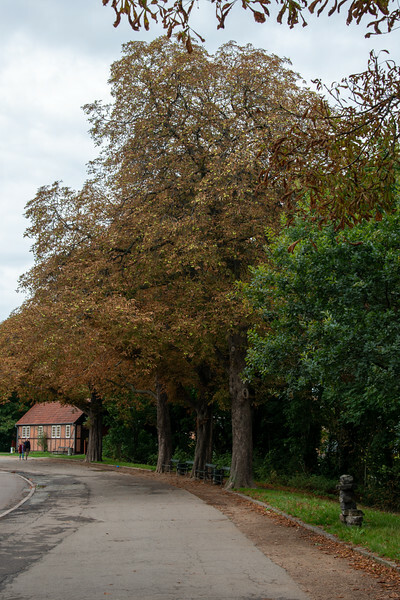 It’s linked to Malmo in southern Sweden by the Öresund Bridge. 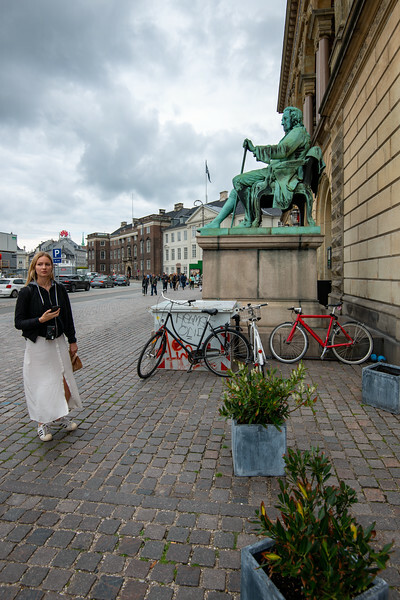 Indre By, the city's historic center, contains Frederiksstaden, an 18th-century rococo district, home to the royal family’s Amalienborg Palace. 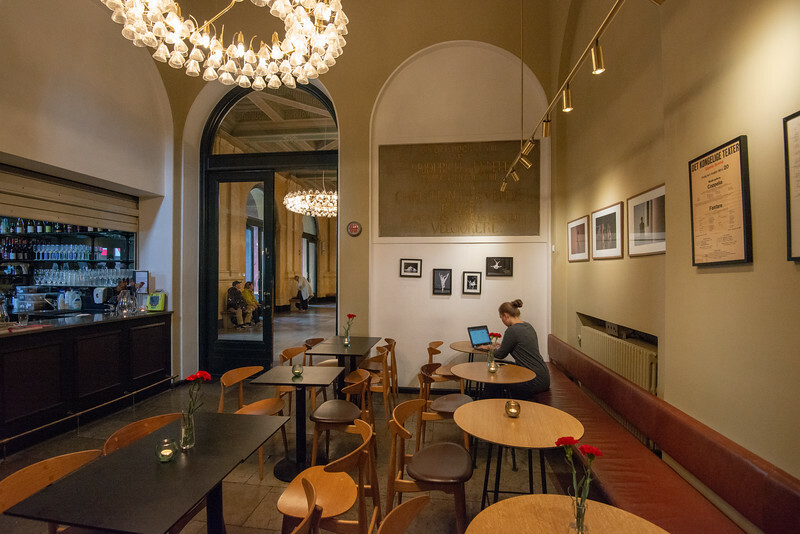 Nearby is Christiansborg Palace and the Renaissance-era Rosenborg Castle, surrounded by gardens and home to the crown jewels. 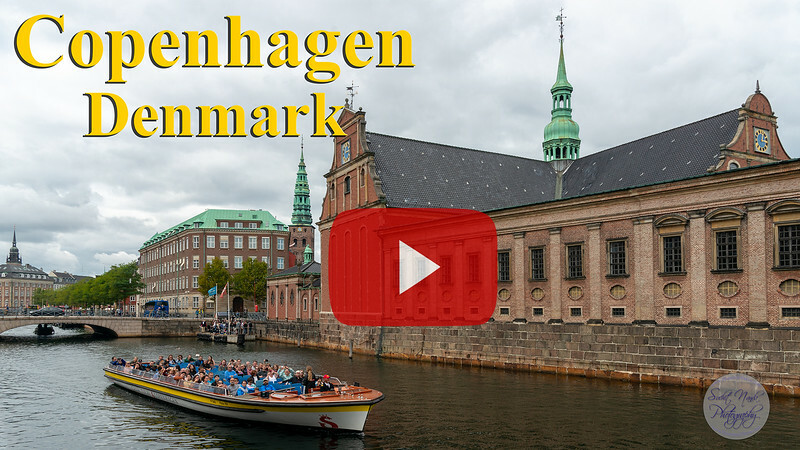 Short video clip of Copenhagen, Denmark. 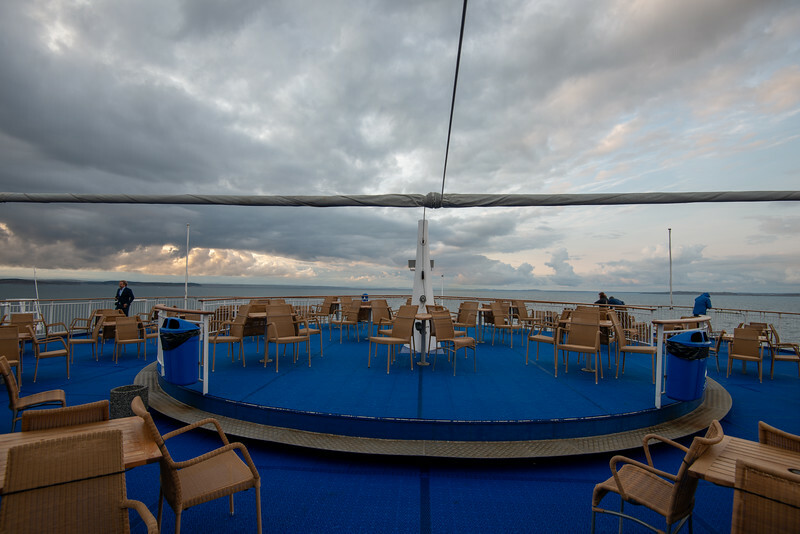 DFDS Seaways Oslo, Norway to Copenhagen, Denmark. 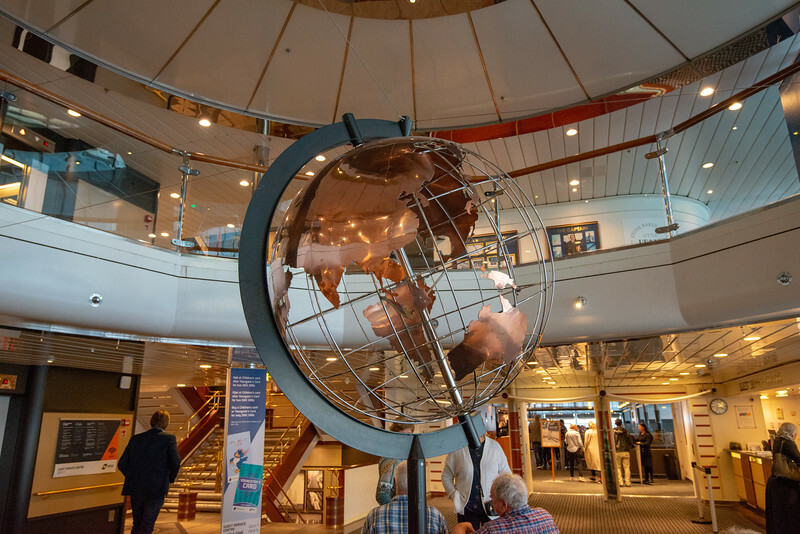 The overnight cruise route provides the opportunity to experience Scandinavia seas in a unique way. 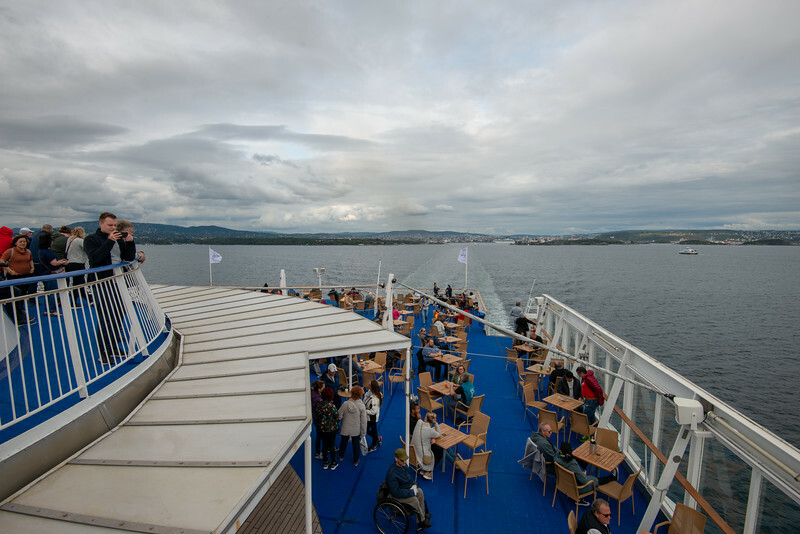 See the Norwegian fjords, the beautiful Kattegat Sea (North Sea) from the ease and comfort of a luxury cruise​. 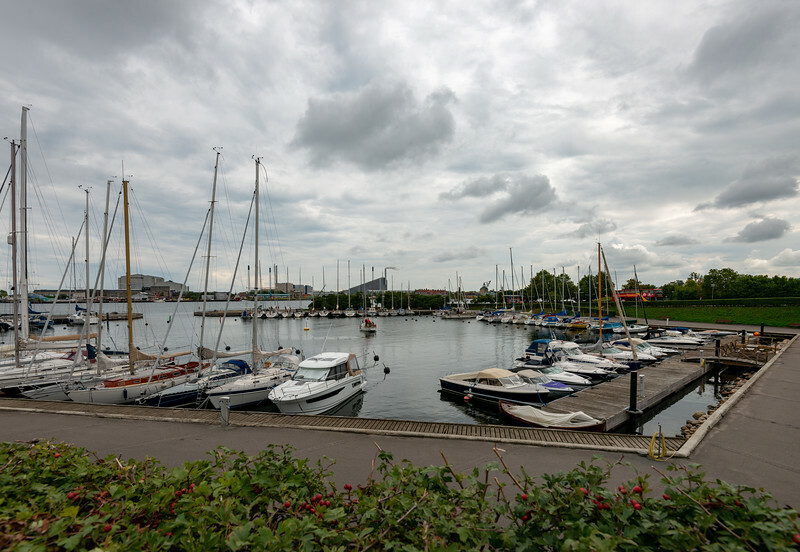 Langelinie Marina, along the waterfront harbour opposite Seafarers monument, Søfartsmonumentet, København, Copenhagen, Denmark. 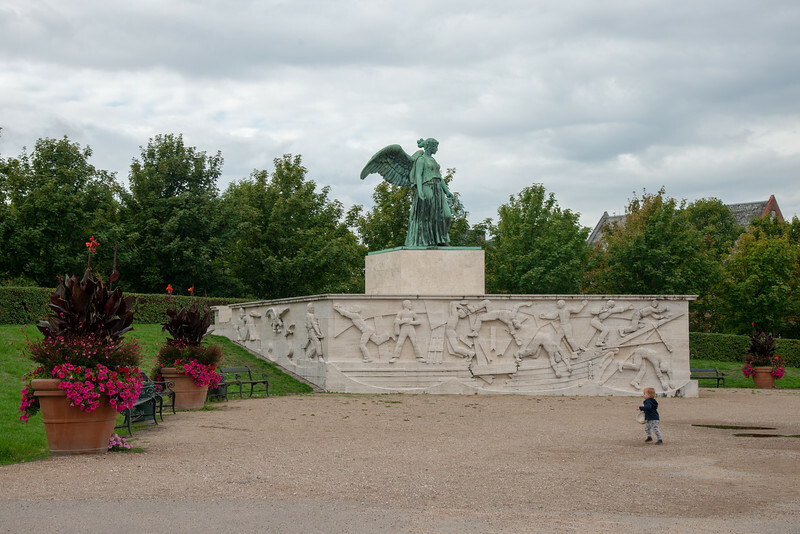 Seafarers monument, Søfartsmonumentet, København, Copenhagen, Denmark. 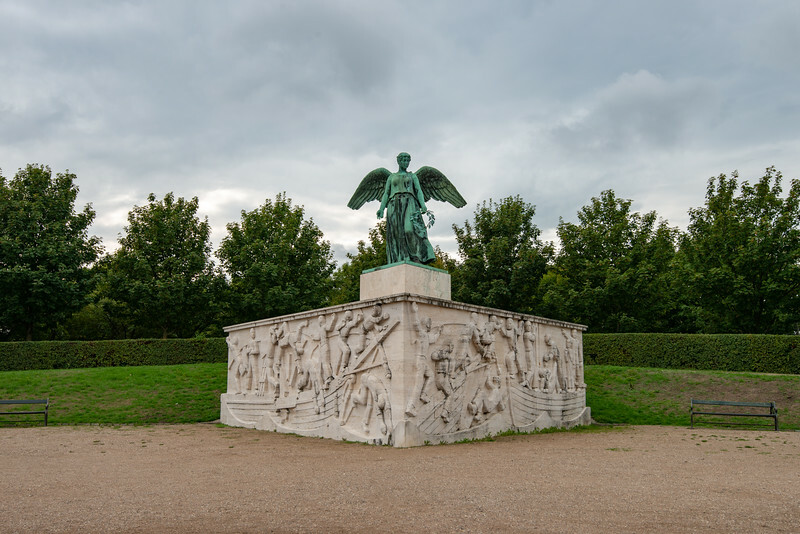 This sculpture is a maritime monument to the Danish Merchant Navy Seamen who lost their lives at sea during World War One. 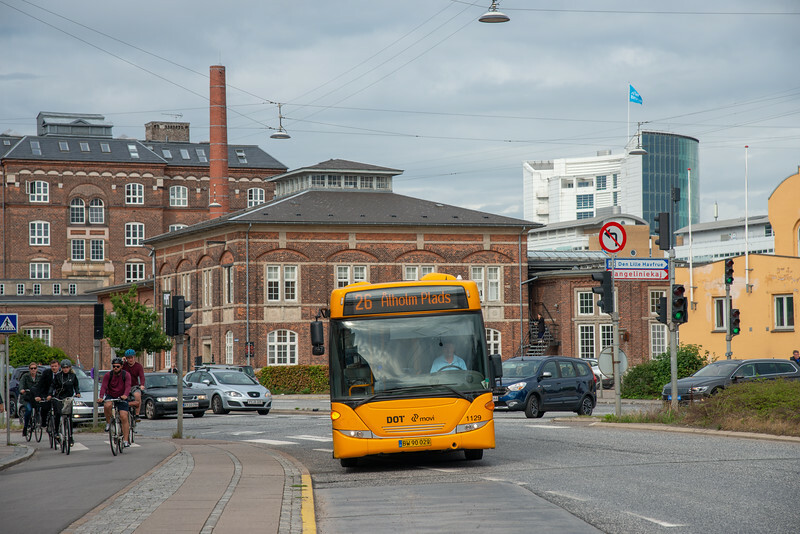 It is situated next to the Langelinie Marina, along the waterfront of Copenhagen. Considering the hype, the little mermaid statue is quite small and unimpressive. 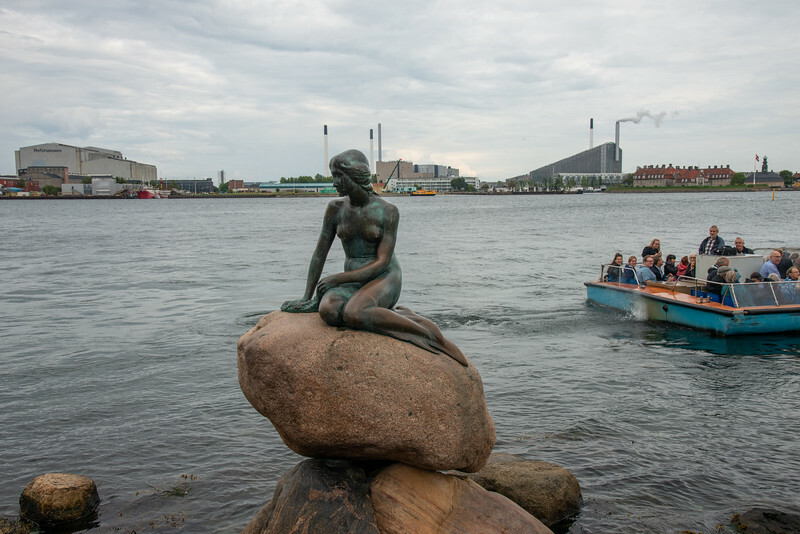 The Little Mermaid, Den Lille Havfrue, Langelinie, København, Copenhagen, Denmark. 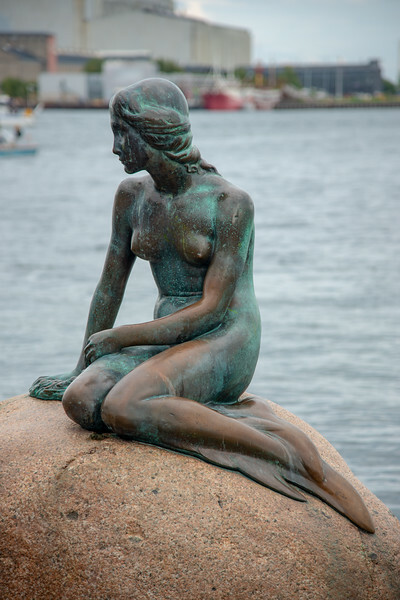 Iconic bronze mermaid sculpture, by Edvard Eriksen, of a character from H.C. Andersen's fairytale. 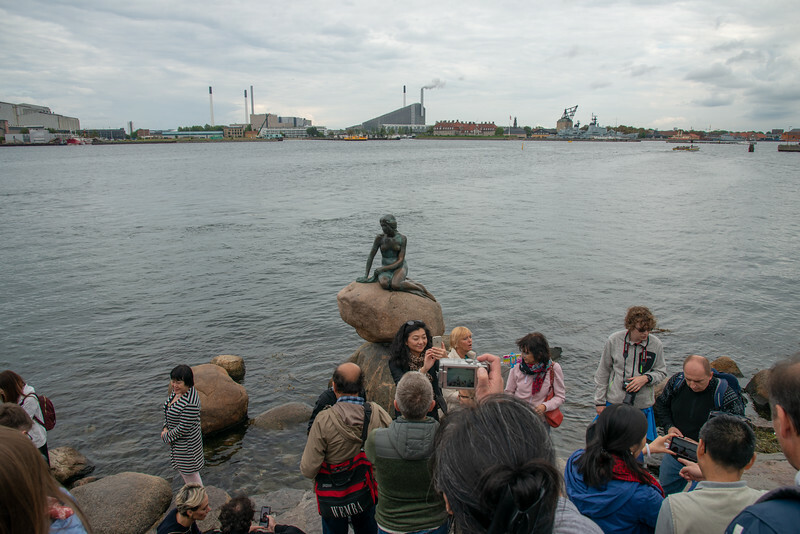 Big crowds gather around the small area and the small statue of the mermaid. 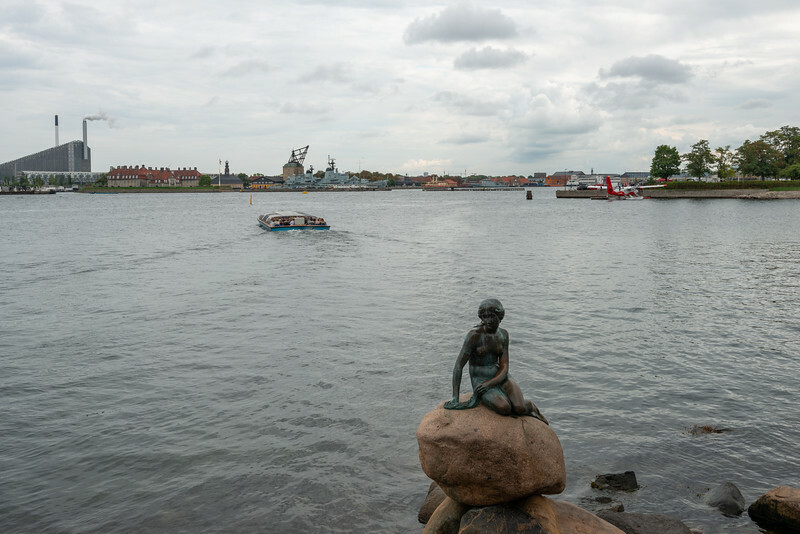 The Little Mermaid, Den Lille Havfrue, Langelinie, København, Copenhagen, Denmark. Iconic bronze mermaid sculpture, by Edvard Eriksen, of a character from H.C. Andersen's fairytale. Sad looking mermaid sitting on a rock. 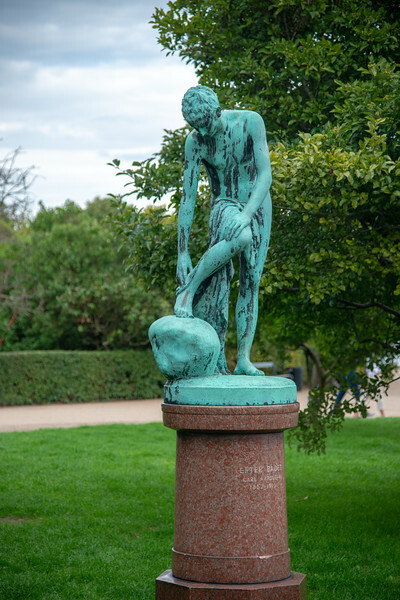 The Little Mermaid, Den Lille Havfrue, Langelinie, København, Copenhagen, Denmark. Iconic bronze mermaid sculpture, by Edvard Eriksen, of a character from H.C. Andersen's fairytale. 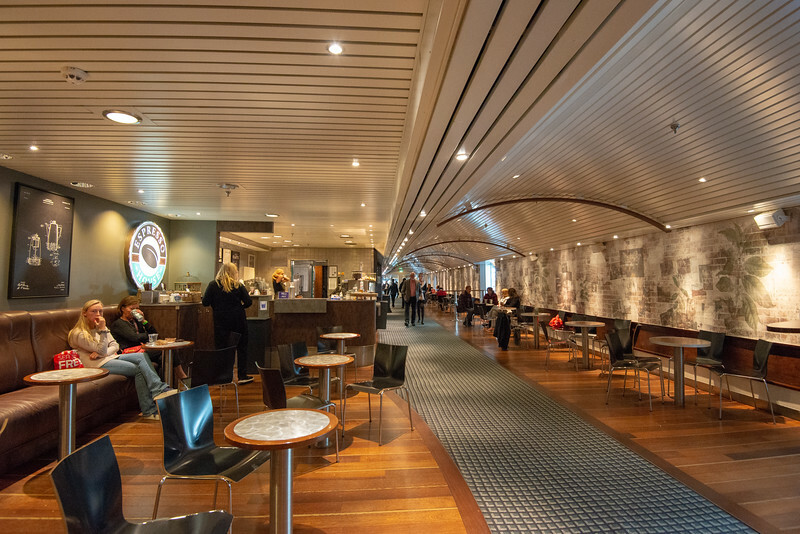 With crowds in front, and boats at the back with industry behind, the mermaid is rather unimpressive. 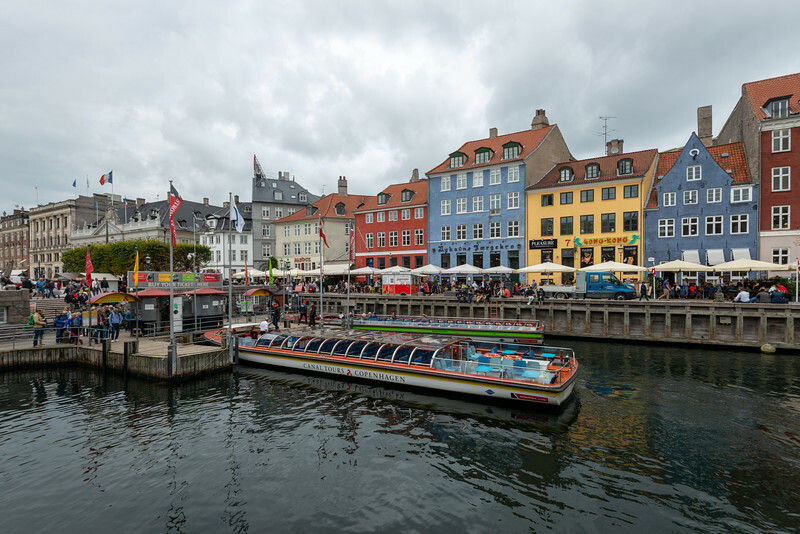 The Little Mermaid, Den Lille Havfrue, Langelinie, København, Copenhagen, Denmark. 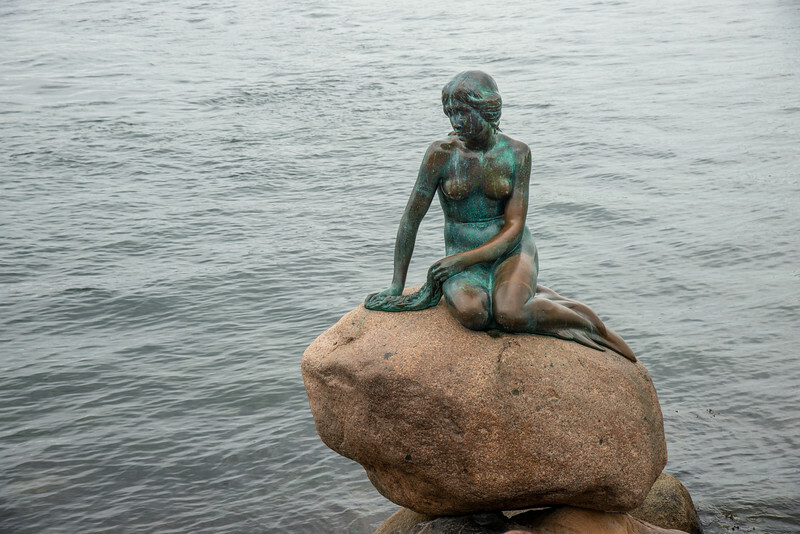 Iconic bronze mermaid sculpture, by Edvard Eriksen, of a character from H.C. Andersen's fairytale. 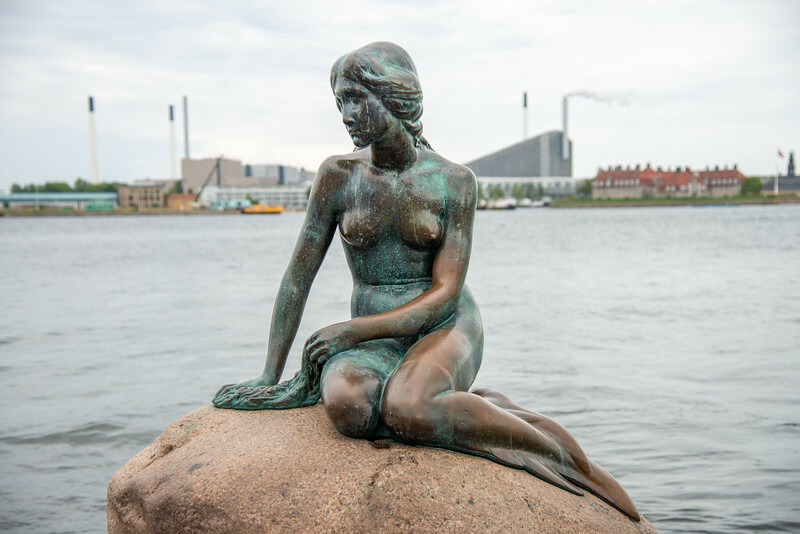 The Little Mermaid, Den Lille Havfrue, Langelinie, København, Copenhagen, Denmark. 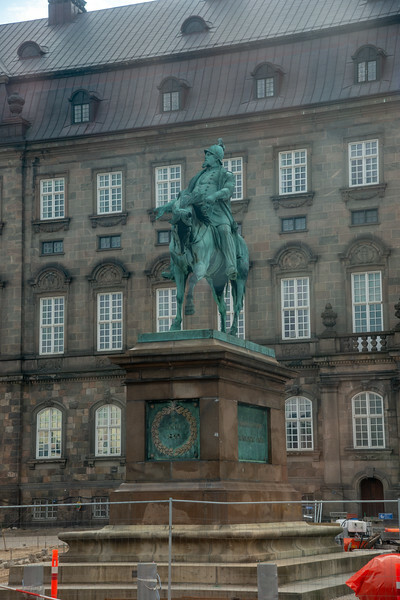 Iconic bronze mermaid sculpture, by Edvard Eriksen, of a character from H.C. Andersen's fairytale. Tourists that flock to the mermaid statue try and emulate her pose. 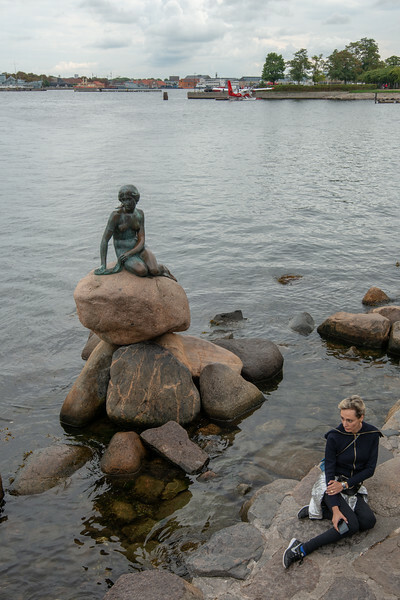 The Little Mermaid, Den Lille Havfrue, Langelinie, København, Copenhagen, Denmark. Iconic bronze mermaid sculpture, by Edvard Eriksen, of a character from H.C. Andersen's fairytale. 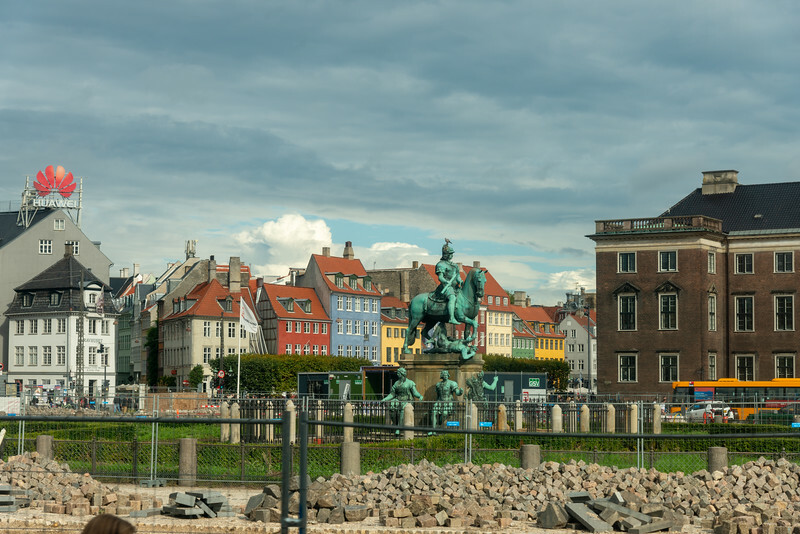 Statue near The Little Mermaid, Den Lille Havfrue, Langelinie, København, Copenhagen, Denmark. 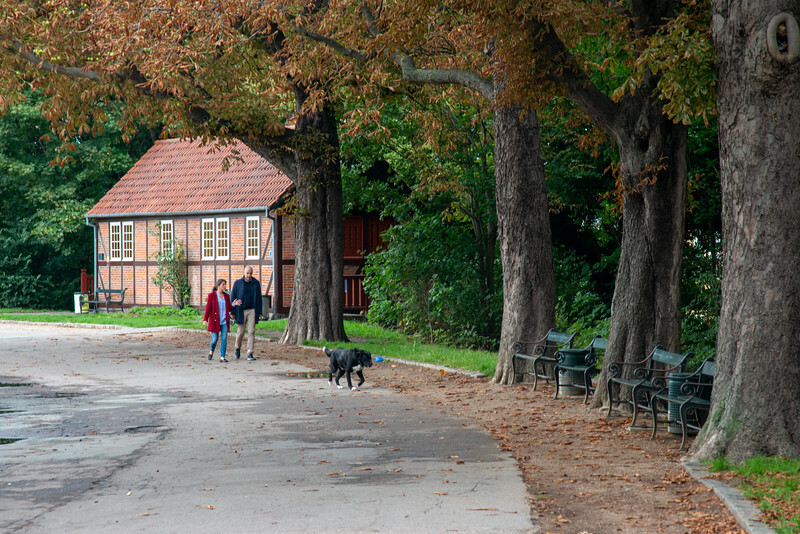 Couple walking their dog in a boulevards at Copenhagen, Denmark. 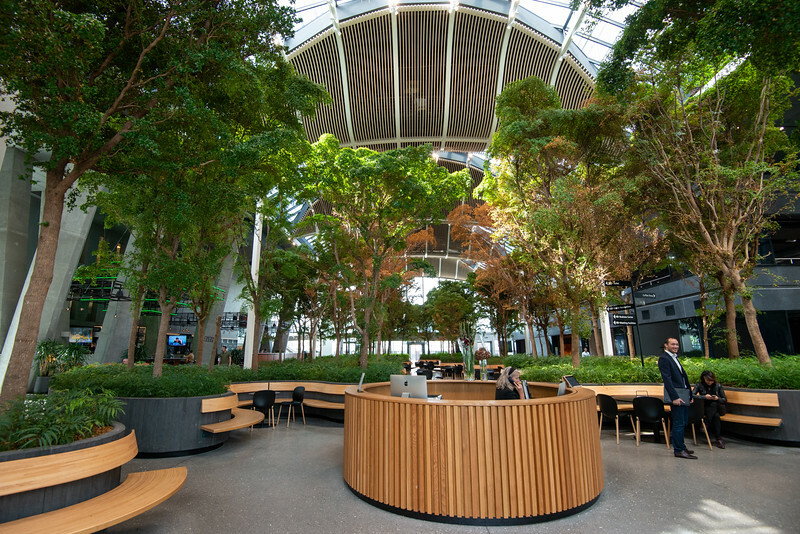 Mini forest inside Crowne Plaza Copenhagen Towers, Copenhagen Towers, Ørestads, København, Denmark. 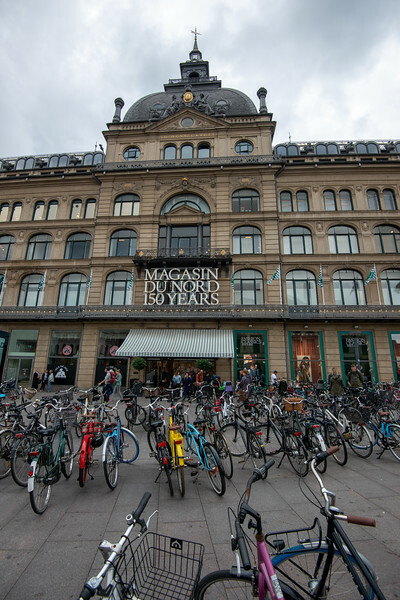 Magasin Du Nord, high end shopping mall at Kongens Nytorv, København, Denmark. 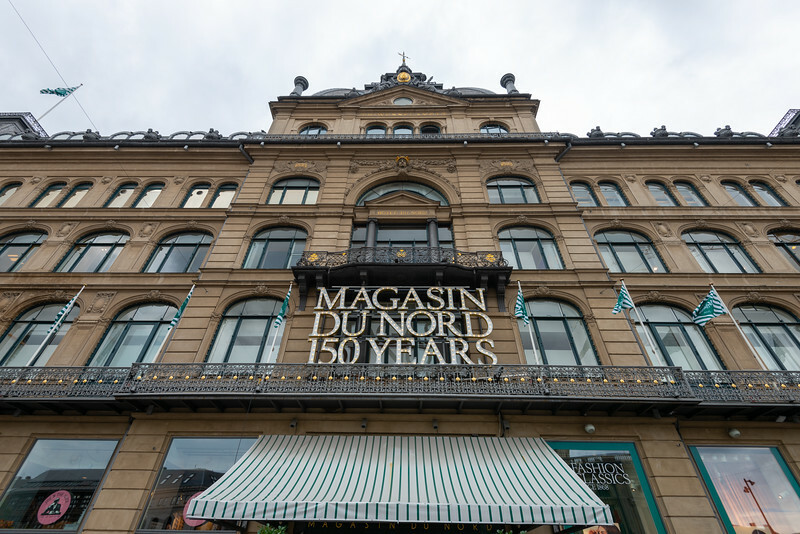 Magasin is a Danish chain of department stores. 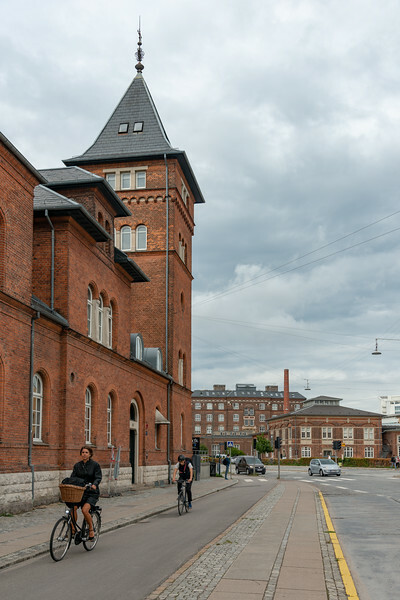 The company traces its roots back to 1868 when Theodor Wessel and Emil Vett opened a draper's shop in Aarhus under the name Emil Vett & Co. 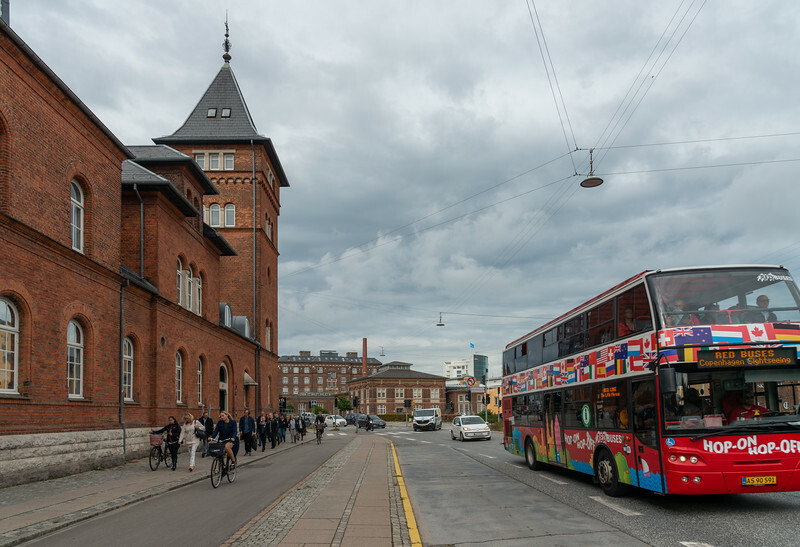 It was an immediate success and in 1871 moved to Immervad where the Aarhus store is still located. 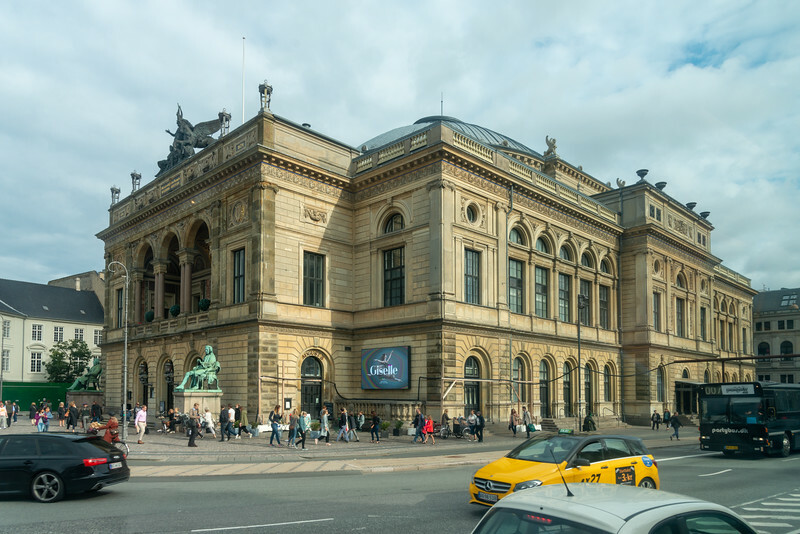 Royal Danish Theatre, Det Kongelige Teater, Kongens Nytorv, København, Denmark. 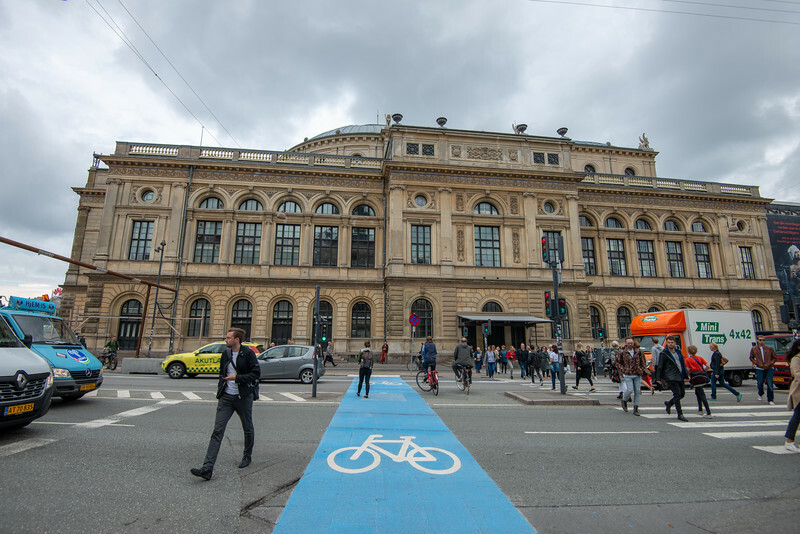 Theater built in 1874 staging concerts & drama, home to Royal Danish Opera, Ballet & Orchestra. 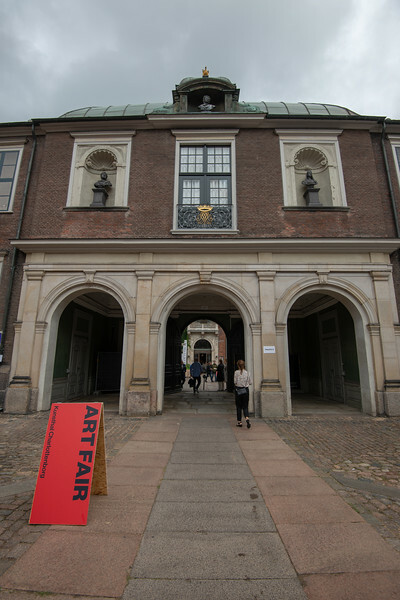 Art fair being setup. 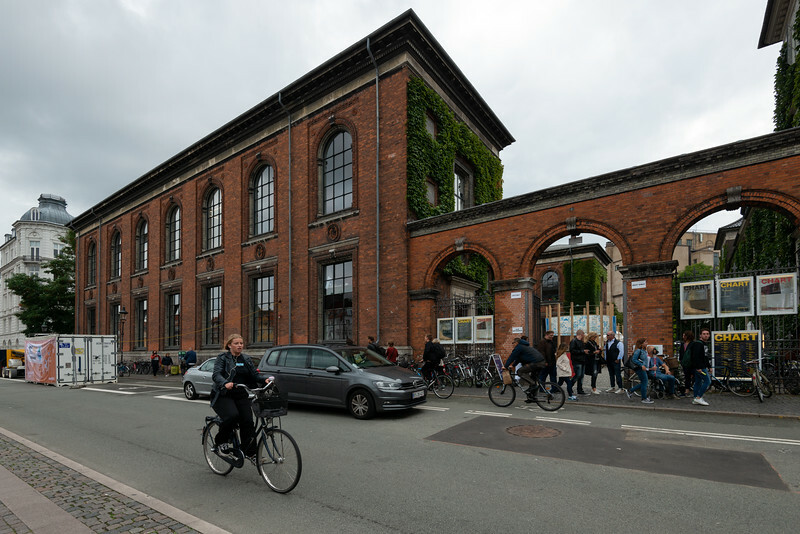 Kunsthal Charlottenborg ("Charlottenborg Exhibition Hall") in Copenhagen, Denmark is the official exhibition gallery of the Royal Danish Academy of Art. 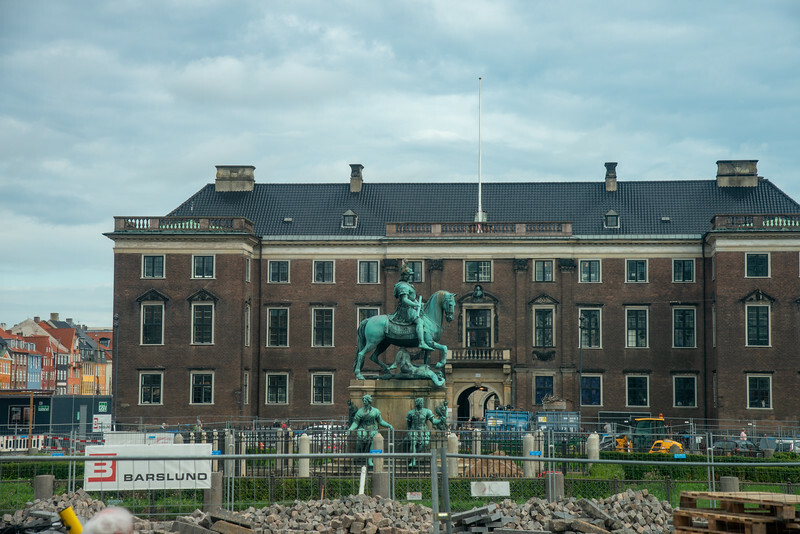 The palatial residence was constructed in 1672–83 for Ulrik Frederik Gyldenløve, in the Baroque architectural idiom shared by Holland, England and Denmark. 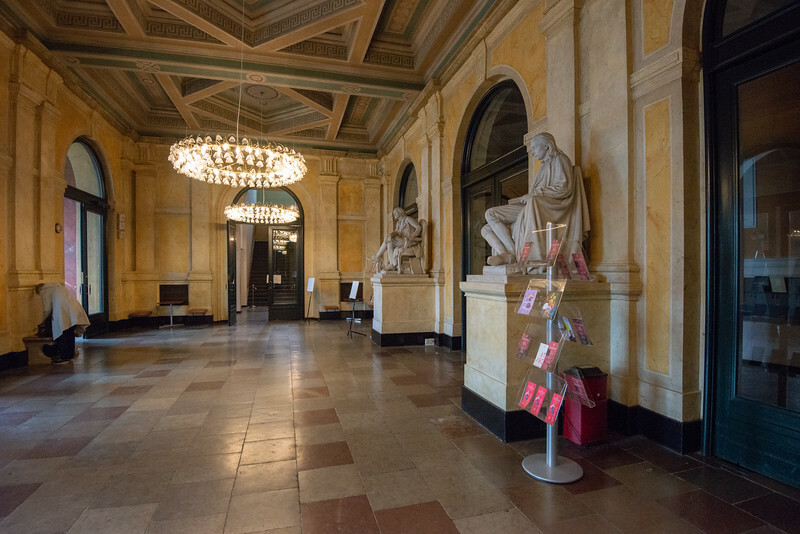 The structure contains an extensive library of the fine arts. 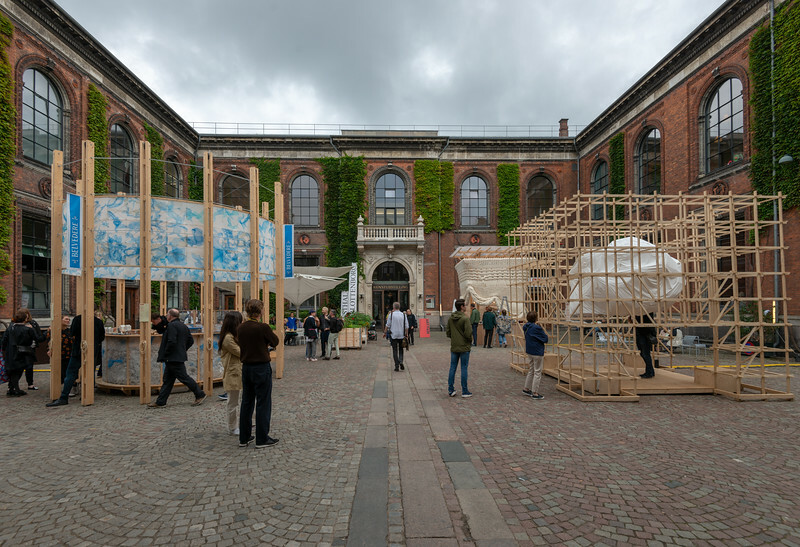 Art Fair at Kunsthal Charlottenborg ("Charlottenborg Exhibition Hall") in Copenhagen, Denmark which is the official exhibition gallery of the Royal Danish Academy of Art. 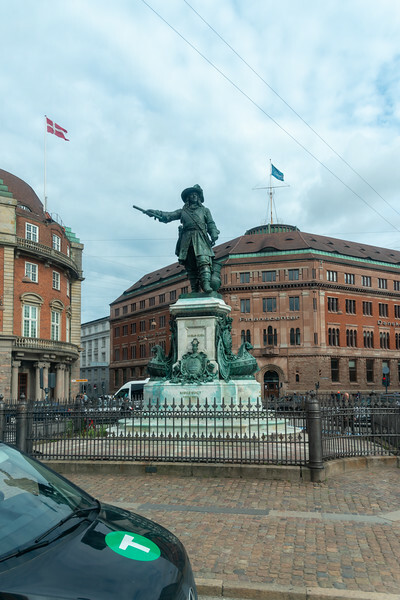 The palatial residence was constructed in 1672–83 for Ulrik Frederik Gyldenløve, in the Baroque architectural idiom shared by Holland, England and Denmark. 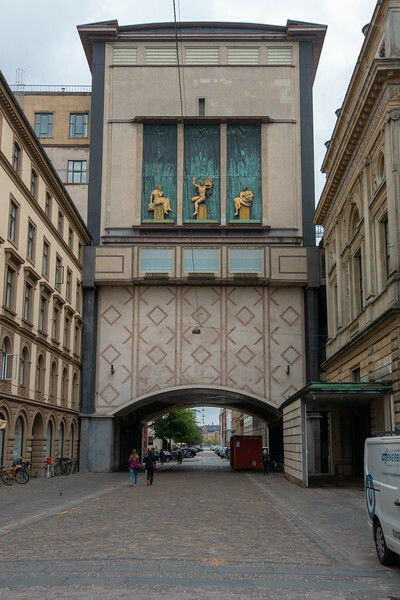 The structure contains an extensive library of the fine arts. 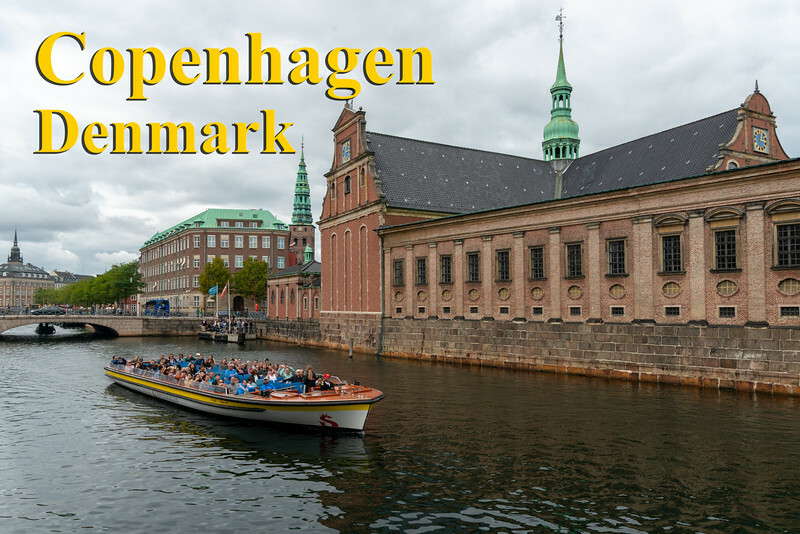 Canal and Harbor Tours of Copenhagen. 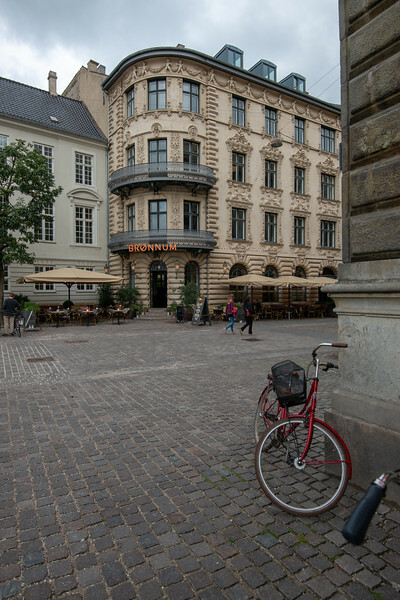 Mindeankeret, København, Denmark. 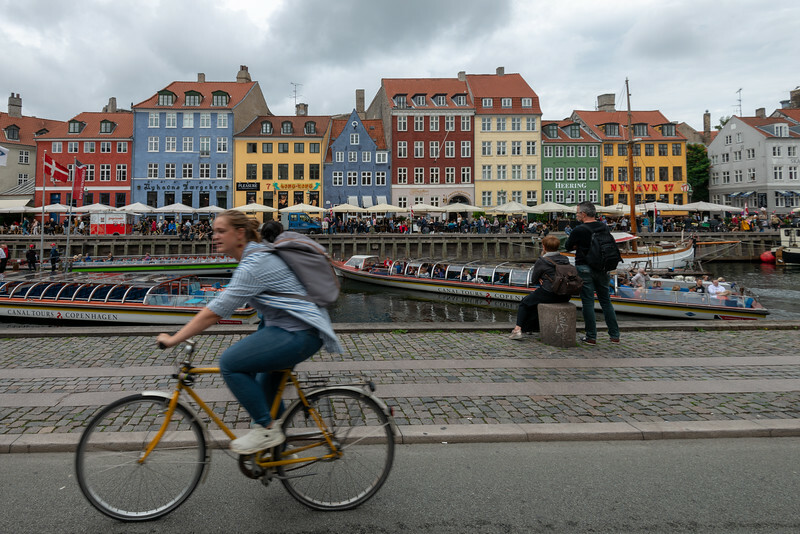 Popular destination featuring colorful 17th- & 18th-century townhouses on a canal with wooden ships. 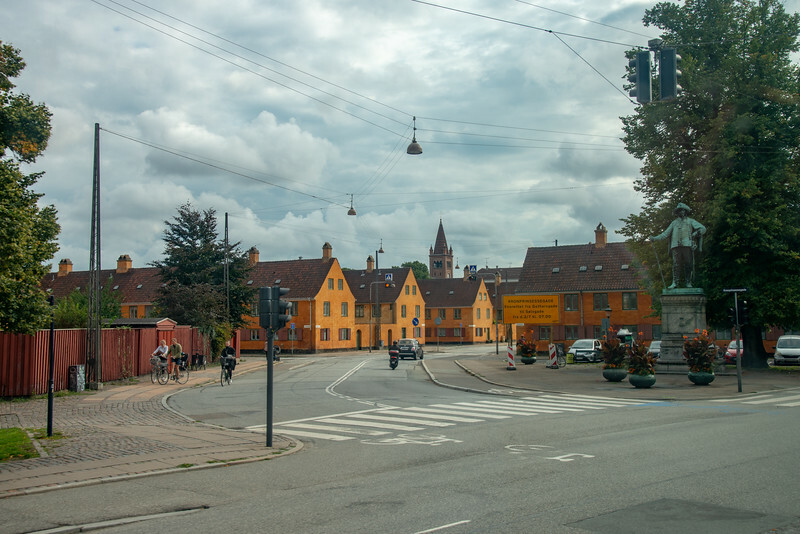 Mindeankeret, København, Denmark. 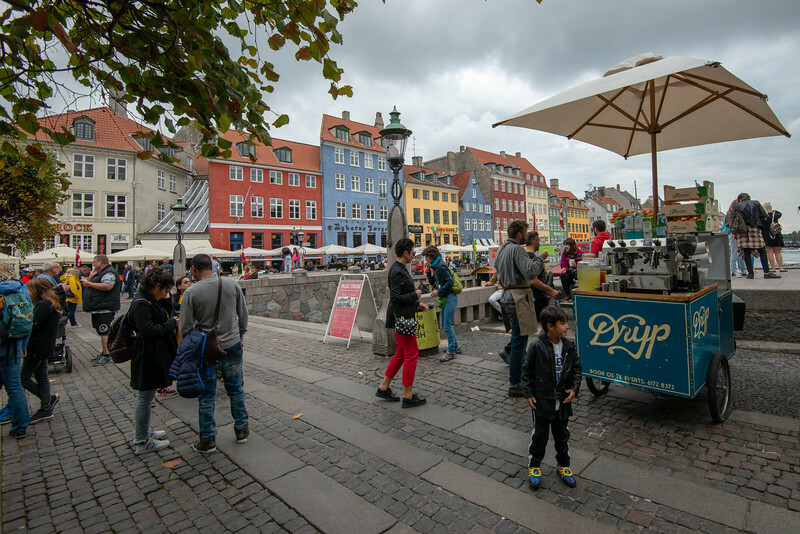 Popular destination featuring colorful 17th- & 18th-century townhouses on a canal with wooden ships. 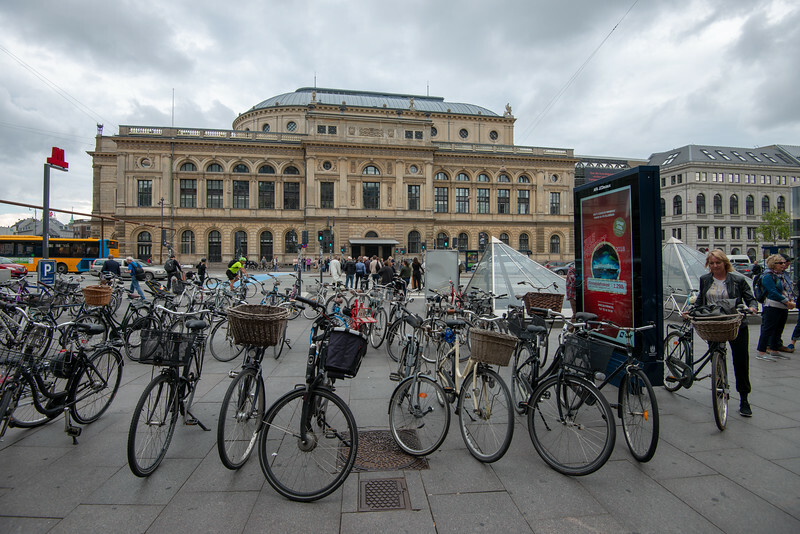 Den Gamle Telefonkiosk, Copenhagen, København, Denmark at King's New Square (Kongens Nytorv) - landmark cobble-stoned square dating to 1907, containing a royal equestrian statue of Christian V.
(Kongens Nytorv) - landmark cobble-stoned square dating to 1907, containing a royal equestrian statue of Christian V. Copenhagen, Denmark, Scandinavia. 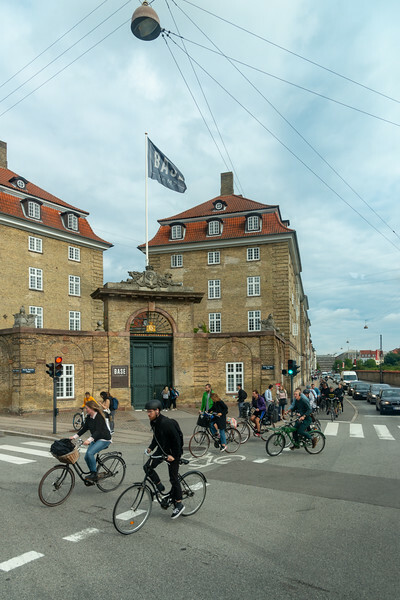 Christiansborg Palace, Copenhagen, København, Denmark. 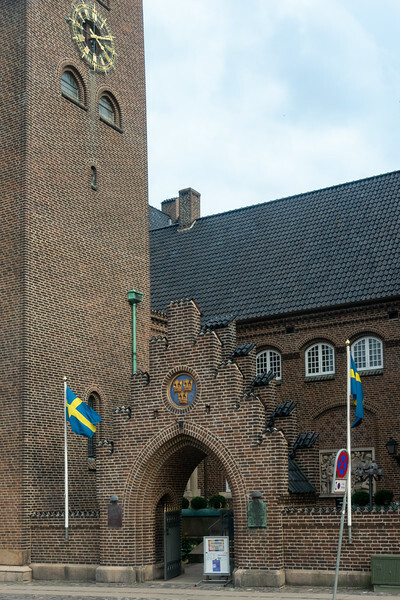 Royal palace has lavish reception rooms & stables, plus a 12th-century castle.